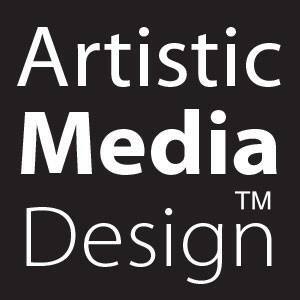 Artistic Media Design is a business that offers unique prints for all of your special occasions. 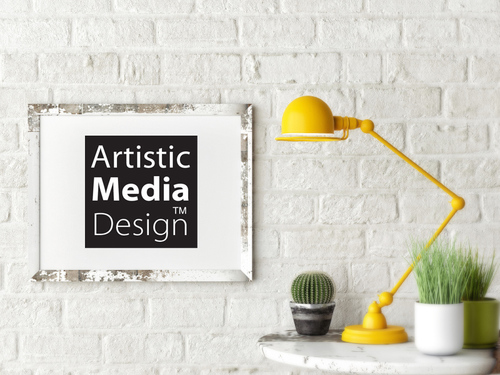 Ran by Carrie Ann Ragan, a graduate from Youngstown State with a Bachelor of Fine Arts, Artistic Media Design offers an array of products that will make your party planning a great deal easier. Ragan herself has experience in several graphic design concepts, digital photography, digital video production, animation, and web page design. She is responsible for coordinating and creating all of the products seen on this website. All of the greeting cards are 5” by 7” when lying flat, and 5” by 3.5” when folded. These, similar to the invitations, come with white envelopes. Each set includes 25 A1 #4 baronial folding cards and 25 envelopes. 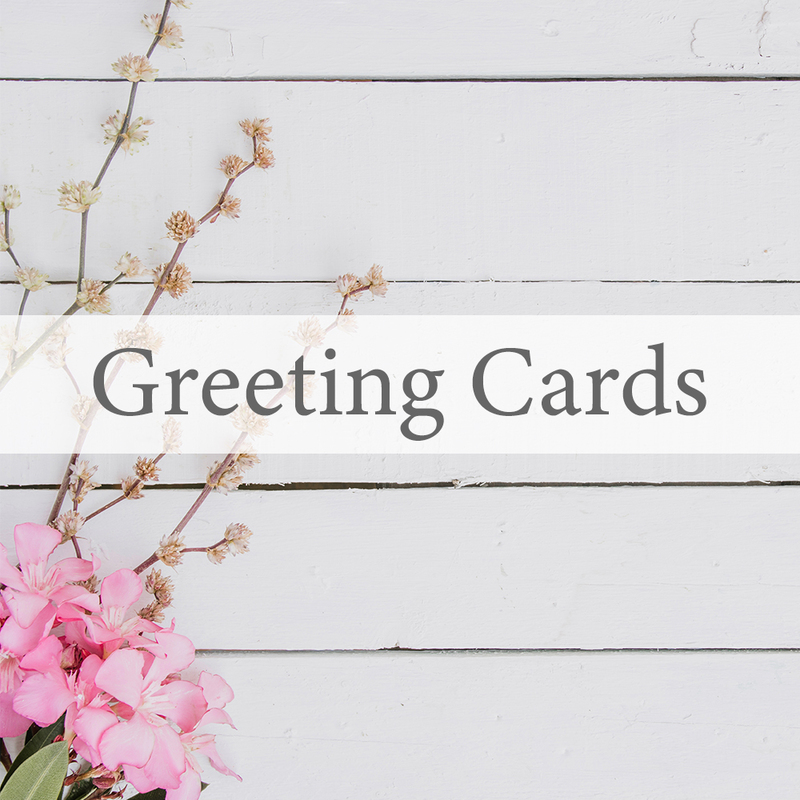 The greeting cards are blank on the inside and are compatible with most inkjet and laser printers! The invitations are all 4.25” by 5.5” and are one-sided with white envelopes. Each of these sets includes 25 fill-in-the-blank invitations with corresponding envelopes. There are even some specialized invitations, like the ones for baby showers. These include a perforated tear-off diaper raffle ticket. 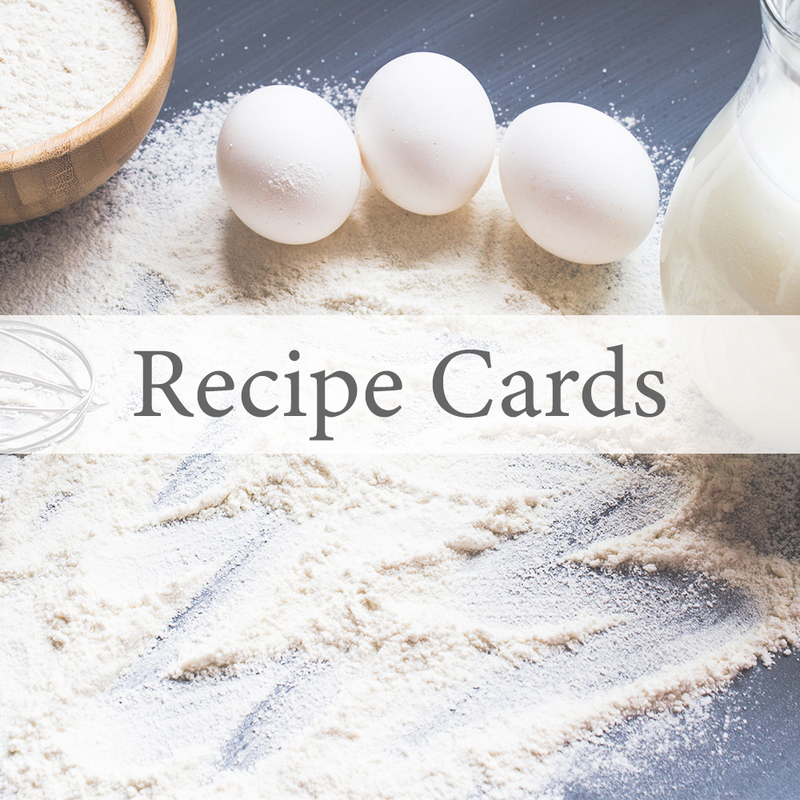 The recipe cards are 4” by 6” and include 50 pieces per set. 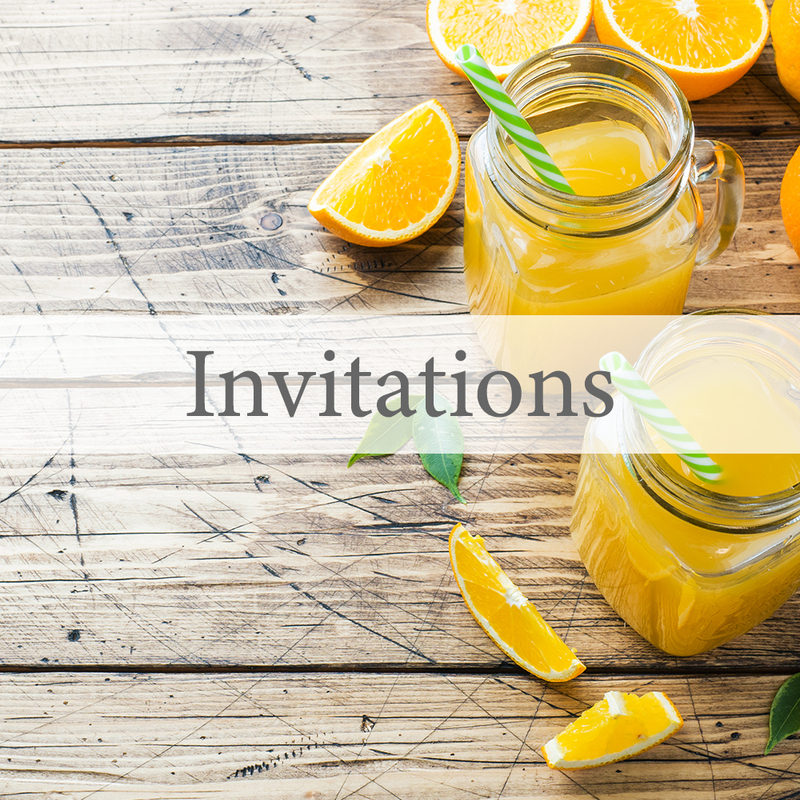 Bridal shower designs can be inserted into invitation packets so that the bride-to-be receives one recipe from each guest. Christmas designs are great for Christmas cookie exchanges as well! All the recipe cards make for a great gift. The high-quality stationery varies in size and type. We have 8.5” by 11” letter-sized paper in several designs and for all occasions. 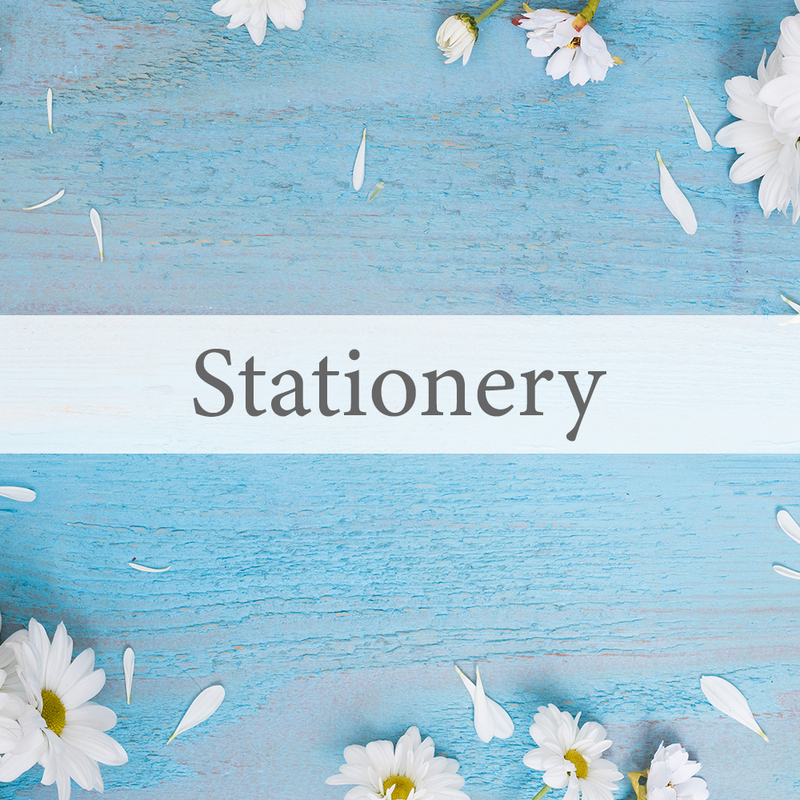 The stationery is compatible with any inkjet or laser printer. We also have notepads available with a word search game for bridal shower fun!